Pilar Cosmai joined her parents, brothers, and her husband in the Kingdom of Heaven October 29, 2018 at 9:52 am. Her name, Pilar, originated from the Virgin Mary, Maria Del Pilar. 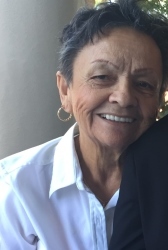 She will be survived by her 2 daughters, Elizabeth Marie Cosmai and Margaret Krajna and her grandchildren : John and Gabriel Cintron and Christine and John Paul Kotulak . Pilar Cosmai was an Angel on this earth and always put everyone else before herself. She will be forever missed by her family and those that knew and loved her.